Of all of the places I've ever been to in Japan, perhaps my most favorite was simply the patio of my apartment. Not only was it a great place to catch some glorious, pollution-fueled sunsets, but I used to love just sitting out there on a deck chair with a cup of hot tea, watching the ships roll in (and, for the sake of Otis Redding, watching them roll away again). Even though I grew up in Florida, I never really got to see the big boats. We just didn't have them on the Gulf Coast side. Which was fine with me. I like my beaches with clean sand and an empty horizon, neither of which go hand in hand with an active shipping lane. 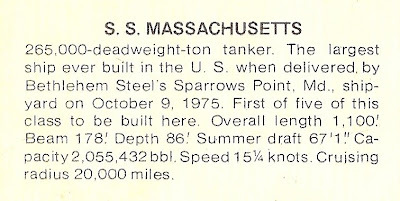 Anyway, during one of my long-distance calls back to Florida, I mentioned my new "ship-spotting" hobby to my dad and we got to talking about the time he worked at Sparrows Point Shipyard, run by former American giant Bethlehem Steel (you can read of its demise here). My dad wasn't there to witness the end of Bethlehem steel. He left the shipyard shortly after I was born so he could move his growing family to Florida and pursue a career in accounting. This, in retrospect, was a wise decision, especially considering that any books written about his former place of employment inevitably had titles like "Making Steel: Sparrows Point and the Rise and Ruin of American Industrial Might". Despite my dad being full of stories that ended with lines like "...and that was how he lost his other hand", my favorite of his shipyard tales was the one about the time he had pounded my initials into the boat he was working on. It wasn't much of a story, really. More a statement of fact. But it was always nice to be reminded. And I loved to hear about it. This is the ship with your initials in the rudder. Now, for as long as I'd known about his little act of well-intentioned rudder vandalism, it wasn't until that moment - looking at that picture and reading that info, combined with months of watching similar big boats glide past my windows - that it hit me just how cool it really was. On the back of THAT boat was a rudder with my initials on it. I immediately Googled "S.S. Massachusetts" to find some more info about the ship. Was it still at sea? Could I see it? What are the logistics of being able to view a rudder? Anyway, while going through my big box of Japan files today for my book, I came across the photocopies he had sent me. Naturally, when presented with a choice between continuing to work diligently on my book and, well... anything else, it's not a tough decision. So, I gave the search another shot. The best I could do was find this PDF file with a copy of a copy of a bad photograph of the Massachusetts in dock (pg. 21). 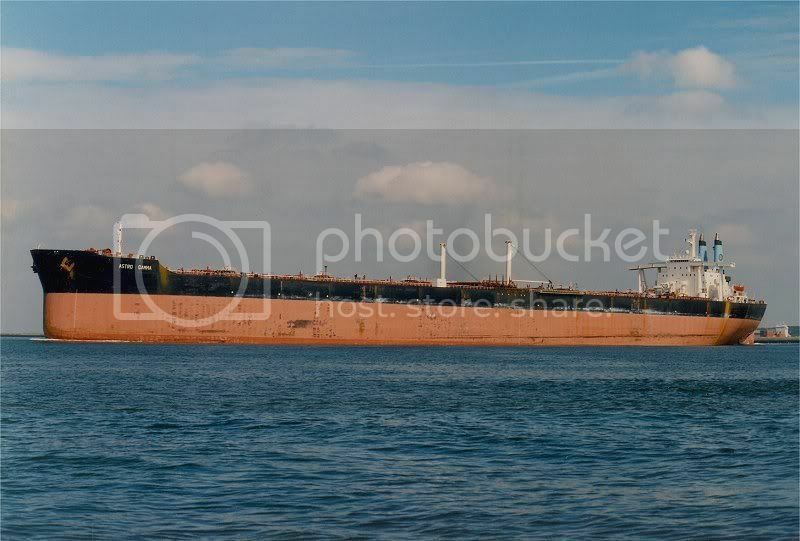 Finally, in a last ditch effort, I just did a search for "tankers built at Bethlehem steel" and that's where I found this page listing tankers build in U.S. shipyards since WWII. No wonder I couldn't find any information on it, they renamed it! While I was sad to see that it had been scrapped, I was thrilled to find it had been renamed something a bit more search-engine-friendly. Armed with this new information, I had no trouble uncovering the interesting history of the S.S. Massachusetts. It had actually once been renamed "Ocean Runner" in 1988. But, if I thought searching using it's old name was tough, it was nothing compared to Googling "Ocean Runner", which brought up everything from powerboat rentals and aquarium pumps to shoes. 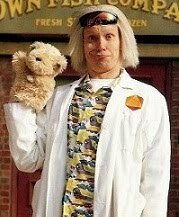 Thankfully, in 1993, it was renamed the "Astro Gamma". 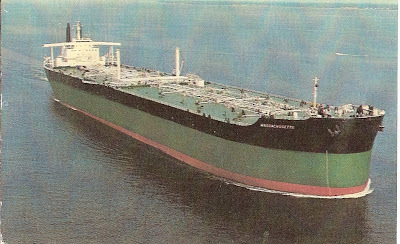 The master of the Astro Gamma (Greek-registry 268,310-dwt tanker built in 1975, operated by Kristen Navigation Inc.) was fined U.S.$20,800 22 Jan. for spilling oil in Malaysian waters and failing to inform the country. Georgantas Dimitros pleaded innocent 20 Nov. but changed his plea during the trial. Judge Mohamed K. Abdul Rahman of the Malaysian Sessions Court at Kuantan fined Dimitros U.S.$20,000 for the first charge and U.S.$8,000 for the second. At 0905 3 July, 1995, the ship spilled oil sludge that formed a 20-kilometer/12-mile slick. Oil spills in Malaysian waters! Adventure on the high seas. This was my kind of boat! Alas, 27 years after it left the Sparrow's Point shipyard in Maryland, the Astro Gamma was dismantled by hand at the shipyard in Alang, India. The word 'platform' when applied to Alang is a euphemism: the platforms are simply beach. When a new ship is about to be broken up, the beach in the relevant yard is totally cleaned, even down to the last nut and bolt (nothing is wasted in this recycling operation), and then the ship is driven straight at the beach at breakneck speed so that it quite literally beaches itself. This part is finely tuned and has been done so many times that the ships are rarely more than a few metres off the desired position, which is a relief when you think of what would happen if they applied Indian bus logic to beaching a supertanker. Alang is a suitable place for such crazy antics because it has a pretty eccentric tidal system. The tide is high only twice a month, which is when the sea covers the yards and new ships are beached; then for two weeks at a time the tide recedes, leaving the ships out of the water and easy to work on. And what work it is: everything that is detachable that can be sold is removed from the inside, all the engines are gutted and removed and then the ship's body itself is dismantled, chunk by chunk. A less flattering portrayal about what takes place at Alang can be found here, fittingly enough, in an article by the Baltimore Sun (as part of a series for which it won a Pulitzer Prize in journalism in 1997). Had this boat not been scrapped, it's the kind of thing I would have made a pilgrimage to, but it looks like I'm a few years late. I try to imagine the chilly day in December of 2001 when the rudder with my initials on it helped to steer the boat once known as the S.S. Massachusetts for it's final journey through the waters of the Gulf of Khambhat and, eventually, up onto the shore of an Indian beach. I imagine the workers standing on the beach in front of it's massive red hull (the boat was once the largest ship ever built by the U.S.) and hacking open a coconut while offering a prayer for protection to the elephant god, Lord Ganesh. I try not to think about the workers who would be killed dismantling that boat. I try not to think about the environmental damage this boat may have caused. Instead, I wonder if anyone noticed the series of block letters pounded into the rudder. If somebody did, I hope it made them smile. Because, while I'm not sure of the exact details, I like to picture my dad as a brand-new father - just a few years younger than I am now - giving a quick glance over each shoulder before pounding his newborn son's initials into the rudder of a really big boat. How could that not make me smile? If there's anyone out there who has ever worked on, took pictures of, or happens to have the rudder of the S.S. Massachusetts (aka "Ocean Runner" aka "Astro Gamma" aka IMO#7390038), get in touch with me in the comments or via the email address in the sidebar. I'd love to chat! That is such a great story! Thanks for sharing. As a side note, I've read a couple near future apocalyptic books recently that reference Alang, but the only one I can remember the title of is World War Z. Yep, zombies overran Alang. Thanks for the comment, Casey! I'm glad you liked it! Japan to start embracing the Segway?